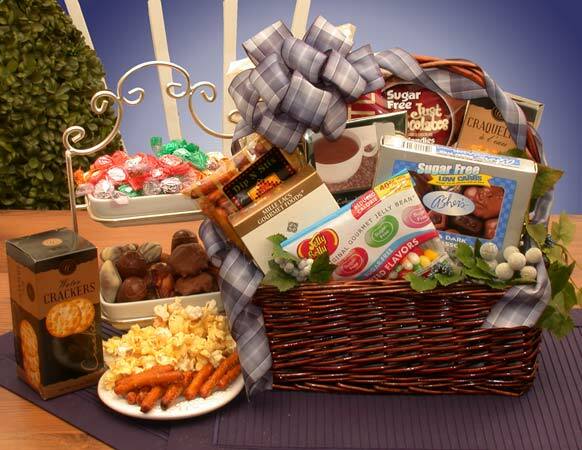 A gift basket filled with guilt-free sugarless snacks. Delivering a fine selection of diabetic friendly treats including sugar free candies and chocolates, gourmet coffee, water crackers, cheddar cheese pretzel sticks, creamy port salut cheese dip, and white cheddar popcorn. All arranged in this beautiful dark stain basket and adorned with greenery and matching ribbon.